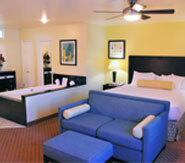 Old Town Inn offers affordable vacation deals and packages tailored just for you. 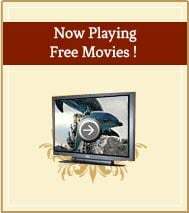 Save money and enjoy all San Diego has in store. Book one today! 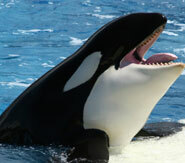 A pair of adult passes to SeaWorld lets the aquatic fun keep on coming! Is the whole family coming? Add as many tickets as you need at our discounted rate! 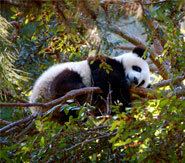 Visit the most well-known zoo in the world with 2 all-day passes to the San Diego Zoo. 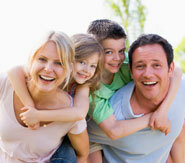 If the whole family is coming, add as many tickets as you need at our discounted rate! 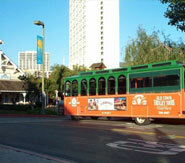 See all there is to see of historic San Diego with 2 adult tickets for an Old Town Trolley Tour. When you stay with us our service men and women will receive 10% off your stay as well as a late check-in when you and your family stay with us. Soak in private luxury with your own in-room Jacuzzi, rain shower, extra-large TV, and a personal fireplace to cozy up beside. This is by far our most popular room; book early, because it's truly one of a kind! Two 7-day passes allow you to wander Balboa Park to your heart's content. 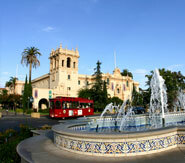 Sees many Balboa Park Museums, as often as you like…for a whole week!! 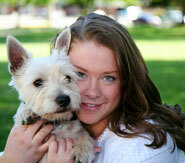 Bring your 4-legged pet to stay with us, and be sure to take them to the nearby dog beach in Ocean Beach or Fiesta Island, Mission Bay.